The Tower Theatre’s history is a rocky one. What started as a movie theatre in the growing mill town of 1940, fell into disrepair decades later, forcing the doors to close. 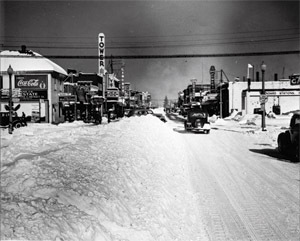 New life was to come however, and through the efforts of a capitol campaign, millions were raise for the restoration of the iconic piece of Bend’s cultural history. With the enthusiasm of the previous two years of programming, it was clear Bend wanted a theatre. 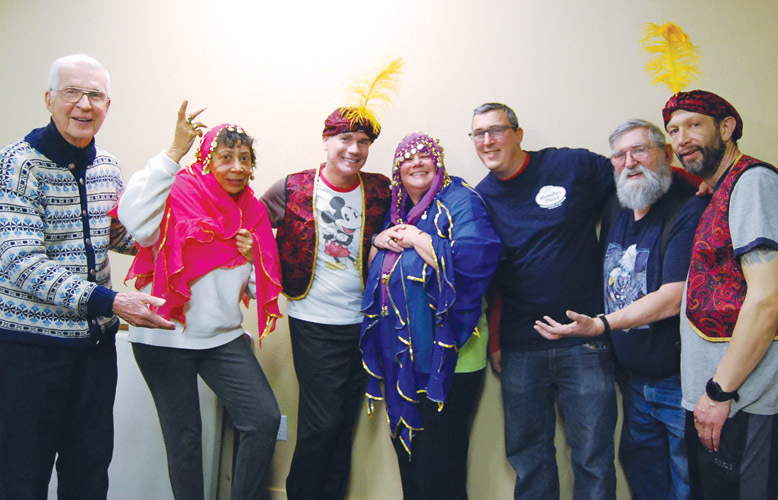 Gary Capps, executive director of Bend’s Chamber of Commerce, banded a small group of volunteers together to work on a fundraising campaign, which grew into 30 dedicated residents, to begin the surmountable task of bringing new life to the Theatre. The renovation designs were headed by DKA Architecture and Design P.C. and also included Candela Theatre consultants and B.R.C. Acoustics of Seattle, Interface Engineering of Salem, W&H Pacific as well as Foundation board members including interior designers, event promoters and community leaders. 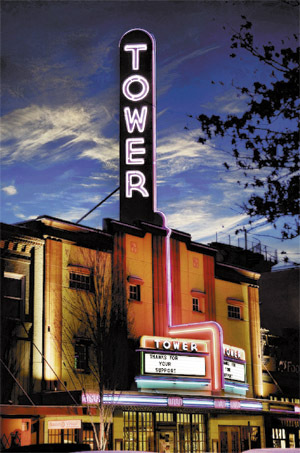 The Tower Theatre is celebrating the 10 years since the renovation of the iconic Bend building, but more influential than the new paint, carpet, stage and chairs of 2004 lies the achievement of their original mission: to provide a wide variety of programming for every demographic, support local organizations and develop a youth educational program. There is no doubt that the Tower has acted as an anchor for downtown Bend; restaurants, shops and bars benefit greatly from the increased traffic Tower shows bring. It can be difficult to quantify how much the Tower Theatre has impacted Bend in the past 10 years, but using an economic impact calculator developed by Americans for the Arts reveals that just in the 2013-14 season the Theatre is poised to contribute over $2 million dollars to our economy. The Tower Theatre has taken a leadership roll in the arts community in both the formation of the Arts & Culture Alliance, which strives to foster collaboration between Central Oregon’s arts organizations, and the formation of the new Bend Cultural Tourism Fund which will create a public fund dedicated to promoting arts and cultural programs in Bend. Several notable accomplishments of the past 10 years include celebrating their 400,000th patron at the recent Spamalot production and hosting 1,734 events, of which 73 percent have been for non-profit use. During this time, revenues have increased nearly 10-fold, from $119,290 at June 30, 2004 to $1,134,782 at June 30, 2013. Solley and the Foundation’s board of directors have also committed to providing a wide variety of programming in 2014 with hopes to mix and match a wide variety of people. “The guitar festival in January will feature professional guitar players from around the world,” Solley said. 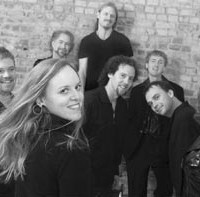 “They will be doing professional concerts and workshops at the schools and on the stage and different groups of students will be performing as opening acts for these performers. Keep your ears open for further information about celebrations, there will be a birthday cake, a sing-a-long to Grease in March and Solley shared tentative plans of a New Year’s Eve bash that will propel the Tower into their next anniversary in 2015…75 years. A Founders party is in the works for February which will celebrate all the people that were involved with the renovation: board members, renovation committees and community members. “The foundation’s goal is to operate the Theatre profitably to make a broadly inclusive schedule of performing arts, civic, educational and social events available to the Central Oregon community. Some of these enriching activities include classical music, popular music, education, theater, dance, film….It will foster the growth of local organizations through a scaled rental fee and gradually develop its own eclectic event programming to present nationally and regionally known artists and speakers appropriate for its size…The Tower Theatre also represents an exceptional opportunity to assume a leadership position in coordinating and developing educational programming for adults and youth… The Theatre will implement a youth educational program including performing arts training and curriculum enhancing performances in collaboration with local schools, museums and organizations.” –Tower Theatre Foundation goals at Reopening in 2004. The original goals set out by the Tower Theatre Foundation have not only resonated throughout the 10 years of operation, but continue to lay a clear path for the Theatre’s future. “I read [the above goals] to my board at the last meeting,” said Executive Director Ray Solley. “Before we opened, [the board] set these goals out, and you read this 10 or 11 years later, and you say, wow, we actually did it! The one area Solley indicated the Theatre wants to focus on at the 10 year milestone lies in growing the educational programming and that both his staff and board have come upon that direction independently. Some of Kirk’s big ideas include adult programming in the form of a lecture series and hands-on performing arts master classes, collaborations with Central Oregon Community College and Oregon State University (OSU), a summer conservatory in the performing arts for teens, a pre-professional internship program for college students to learn technical theatre and arts administration, regular backstage tours for school groups and adults and an in-depth year-long performing arts partnerships with specific classroom teachers to support them in learning and using arts integration techniques. Solley further broke his hopes for the future of the Tower into the following: develop an endowment, become strategic partners with other non-profits and partner with the new four-year university, OSU-Cascades. “Wouldn’t it be wonderful with the growth of the arts, that the Tower is one of the anchors of a downtown arts district? Wouldn’t it be wonderful for us to the be the leaders of bringing a performing arts center to town?